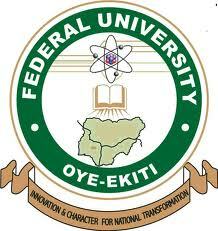 Federal University, Oye-Ekiti, FUOYE school fees schedule for 2018/2019 academic session has been released. The FUOYE fees published contain school fees and other sundry fees schedule for all students – both fresh and returning for 2018/2019 session. All such students as well as their sponsors are hereby informed. The management of FUOYE has uploaded the schedule of all fees payable by all students of the institution for the 2018/2019 academic session. Below is the breakdown of all fees to be paid by all students of Federal University, Oye-Ekiti. ALSO SEE: FUOYE Academic Calendar for 2017/2018.